If you’re flying all the way to Australia, New Zealand, or the South Pacific for business, you’re going to want the added comfort and luxury of business class. Luckily for you, there’s plenty of options for using frequent flyer miles to fly business class to Australia from a variety of major Canadian cities such as Vancouver and Toronto. 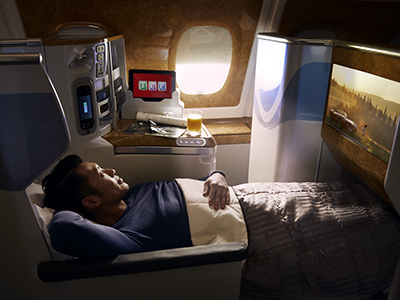 Whether you want to experience business class on Emirates, Qantas, Delta, or Air Canada, there’s plenty of options for making your long trip much more enjoyable. Alaska Airlines: Thanks to the vast partner network of Alaska Airlines, the Alaska Mileage Plan is the best rewards program for business class and first class flights down under. You can earn Alaska Mileage Plan miles in Canada by applying for the MBNA Alaska Airlines Mastercard, which comes with 25,000 bonus points. If you want to experience the most luxurious options for flying to Australia, consider booking your reward flight with partner airlines such as Emirates, Fiji Airways, or Cathay Pacific. Air Canada’s Aeroplan: Thanks to the vast network of the Star Alliance and the Canadian prominence of Air Canada, the Aeroplan program offers some great business class options as well as many opportunities for earning miles. For example, you can apply for the TD Aeroplan Infinite Visa or even the American Express Gold card and utilize your Aeroplan card at a variety of retailers across the country. The only downside with Aeroplan could be finding flights that don’t impose high fuel surcharges. The upside is that Aeroplan allows up to two stopovers or a stopover and an open-jaw, allowing you to enjoy a variety of destinations for the same amount of points. Popular partner airlines that fly to Australia include Asiana Airlines, United Airlines, Air New Zealand, and Air Canada itself. Emirates: if you don’t mind taking the longer route to Australia, you can enjoy a free stopover in Dubai as well as experiencing one of the most luxurious aircraft’s in the world, complete with an open-bar to mix and mingle with other passengers. In fact, if you have extra miles/points to burn, you can also go first class and experience your own private suite while taking a shower at 40,000 feet. 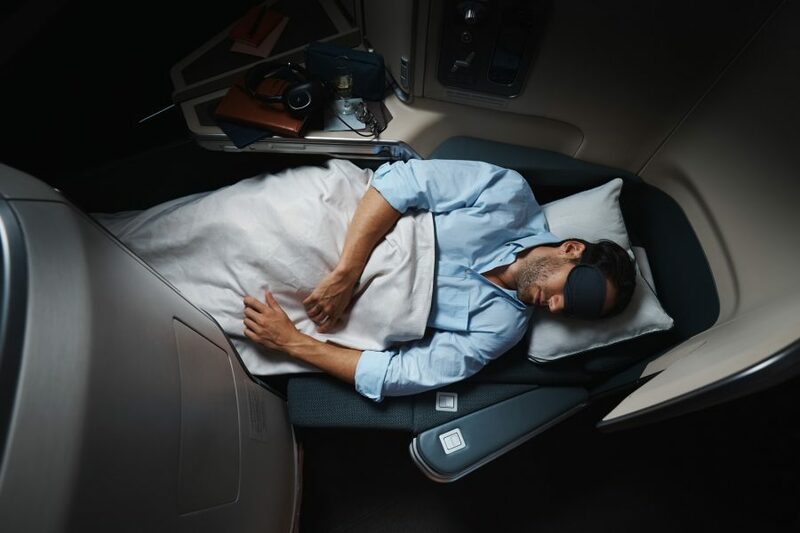 Cathay Pacific: Since Cathay Pacific offers one of the best business class products in the world, it’s definitely an option that should be high on your radar. The only problem with Cathay Pacific can be availability but if you book far in advance or close to the date, you do have the possibility. You’ll also get to route through Hong Kong, allowing for a free stopover if you wish and/or the chance to experience some of the best airport lounges in the world. Fiji Airways: Fancy a stopover in Fiji? Not only does Fiji Airways offer a great business class product but they also offer a free stopover in one of the most beautiful beach destinations in the world. Space can be hard to come by but if you have flexibility and search far in advance, it’s not impossible! Qantas: Australia’s flagship carrier also offers a great business class product and thanks to their partnership with Alaska Airlines, it’s definitely within reach. You can also enjoy a free stopover in New Zealand (or Australia if you’re flying to New Zealand) and if you book far enough in advance, you might be able to book first class, which offers incredible value. The first thing to do would be to login to your Alaska Mileage Plan account or your Aeroplan account (or whatever program you’re using) and search the availability on your desired dates. If that fails, call the reward programs booking center and see if they can find other options. You can contact Alaska’s Mileage Plan booking center at 1-800-252-7522 or Aeroplan’s booking center at 1-800-361-5373. If you find availability, make sure you check each leg/segment of the trip. Sometimes a business class award may only offer business class on one leg/segment, while the others are in economy. At the very least, you’ll want your longest leg to be in the desired class. Popular award space like what is mentioned above can be difficult to find at certain times of the year but for such a long flight, it’s worth the effort. 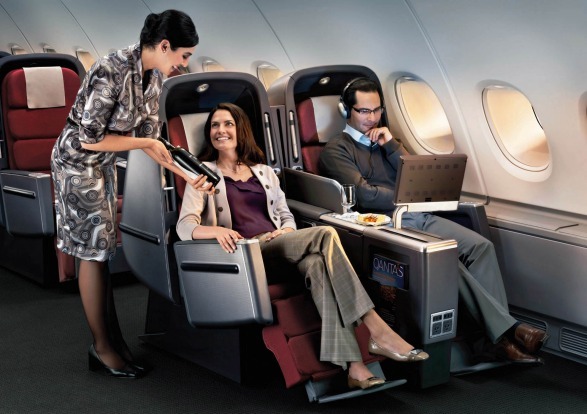 Try to give yourself as much time as possible to find premium business class space. If all else fails or if you’re pressed for time, consider our award booking service by clicking here. Don't subscribe All Replies to my comments Notify me of followup comments via e-mail. You can also <a href='https://www.creditwalk.ca/comment-subscriptions/?srp=4985&srk=2648578ecea05c83754707575dc5a494&sra=s&srsrc=f'>subscribe</a> without commenting.